The concept of sustainability is still relatively new to the corporate world. We should expect growing pains if we are to learn enough to develop the technology we need to live cleanly. I have decided to leave this article up, despite the now outdated (and a little bit wrong) information it contains, in service of knowledge. Yes, I have included valuable facts throughout, but more importantly there are lessons to be gleaned. This article is about one problem and the two solutions proposed to fix it. Those solutions may not be viable, but perhaps they can inspire new ideas that are. Let’s do a quick survey: when was the last time you noticed the room was growing dark, turned on a light, and thought, “I’m so lucky that I can continue to do whatever I want after darkness falls?” I can tell you my answer is, never. I don’t think I’ve had that thought, or any similar thoughts, ever in my life. However, for much of the global population, that thought never forms because it’s always just really dark. 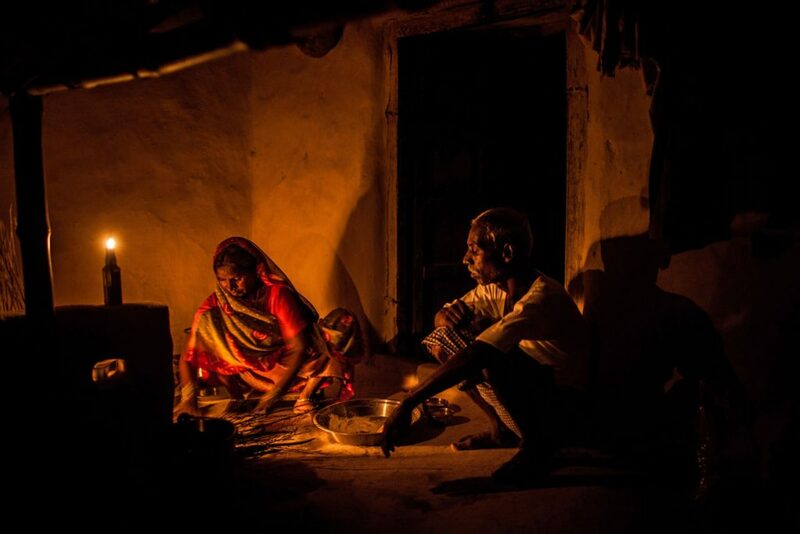 Aside from those who face a daily fight for access to reliable electricity, there are also people who face the added struggles of cramped conditions and sudden desperation after dark. Many countries around the world still lack widespread access to electricity. That means around 1.6 billion people are still living in the dark. Some 800 million are in the sub-Saharan Africa, and around 400 million are in India alone. The dark is something we take for granted. But fifteen percent of the global population experience severely limited access to light. In many areas of the world, electricity is incredibly unreliable and in most cases the primary alternative is kerosene, which has myriad of environmental issues. It is also incredibly expensive. For those living below the poverty line, this means light beyond the sun is almost impossible to maintain. Imagine for a moment that you live well below the poverty line, most likely in a Third World country. You can only imagine a luxury like electricity and come sundown there’s a decision to make. Is what you’re doing important enough to continue doing? Is harming yourself and your family, devoting a huge percentage of our income, and potentially starting a deadly fire worth it? Cooking dinner becomes a race against the sun. Students attempting school work must scramble to absorb what they can before they lose the last rays. While living closer to the equator allows for longer, warmer days, everyone could benefit from a few extra hours. If it meant harming your family’s health, or filling their bellies, which would you choose? *In May, 2018, The GravityLight Foundation decided to close. Customer feedback revealed that more research and development are needed to meet necessary demands. You can read more about their decision to close here. However, this action has not slowed the founders down one bit. Supporters fully funded their Indiegogo campaign in June (to the tune of 147 percent). Check out their pitch here to see what’s coming next from this small group of visionaries. Focus groups, international beta testers, and huge amounts of follow-up were all employed to improve the design; to make sure it will work anywhere, every time. Kenya will house the manufacture of the light, the same market where it will launch. 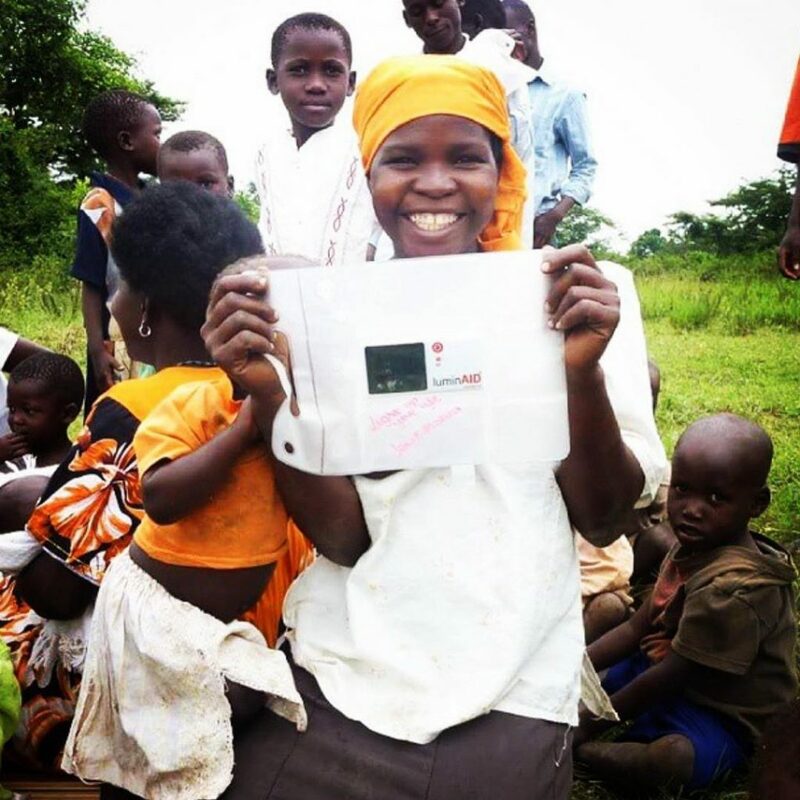 Avoiding potential pitfalls that can come with a Buy One Give One model, GravityLight is working with local partners. They provide product and sales training so that locals can use the light to create personal income. GravityLight doesn’t need batteries or sunlight and costs nothing to run. It takes seconds to lift the weight that powers GravityLight, creating 20 minutes of light on its descent. The nonprofit launched in Kenya, and to date, 3000 lights have been delivered. These 3000 lights affect 30,000 people. 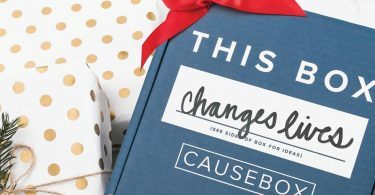 Two massively successful Indiegogo campaigns (both were funded well over 100 percent), and the company is set to make a big difference in a lot of lives. The other issue that requires illumination comes in the wake of disasters that can displace people or restrict access to power temporarily. According to the UNHCR, disasters and wars forcibly displaced 65.3 million people in 2015, worldwide. Just one year earlier, in 2014, UNISDR found that 102 million people had been affected by disasters such as floods, storms, droughts, and extreme temperatures. Events are happening with increasing frequency and intensity due to climate change. This is why the UNISDR is requesting that we drop the “natural” part of natural disasters and call them what they are: disasters. This plea implies that numbers of displaced people will continue to grow year after year. And each of them will experience the issues that come from not having access to light after dark. This issue is not one of extreme poverty or Third World countries. Between 2005 and 2014, the country to experience the second most occurrences of disasters was the United States. So now you’re no longer facing your shanty and the question of “to kerosene or not to kerosene”. Instead, you’re you. You live in your house or your apartment or your backyard bungalow, and something goes very, very wrong. It’s a tsunami or an earthquake or a storm or a fire or a flood, and it takes everything but your life in one epic moment. You are helped by the government or the community or a non-profit. They feed you and clothe you and give you a temporary place to sleep. It is crowded, the power is out, the people are everywhere, and it’s so hot or brazenly cold but you have blankets and warmth and everything will be okay. Except the dark comes and you have no light. Every shadow is a threat and the desperation of every human huddled around you is magnified. When morning finally breaks, you thank any or every deity that all you lost was a pair of mittens. *When this article was initially written, I had not yet demoed any of the LuminAID products. After publication, I purchased one of their lamps. The first lamp lasted a month before something went wrong with the circuit board. I contacted customer service and quickly received a replacement light. The replacement began experiencing similar problems a couple of weeks later. I confirmed with the company that I was not using the lights incorrectly. Rather than attempt a round three, I chalked the experience up as a loss and moved on. This all happened the summer of 2017. The company now has several new products and may have improved existing technology. If you decide to purchase your own lights from LuminAID, please let the company know if you have issues. This is the only way they can grow and improve. 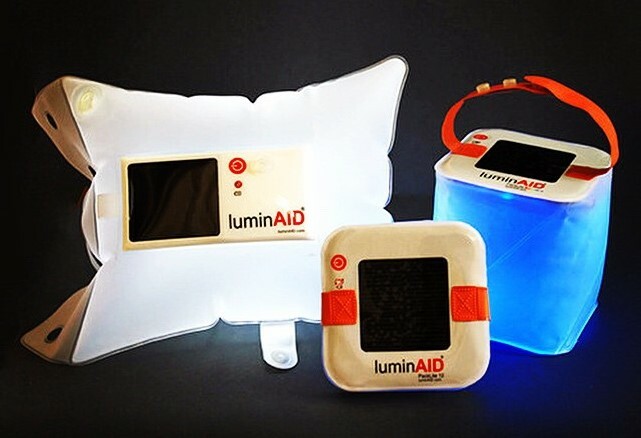 You may remember seeing LuminAID on an exciting Season Six episode of ABC’s Shark Tank when the burgeoning company instigated a feeding frenzy among the sharks. 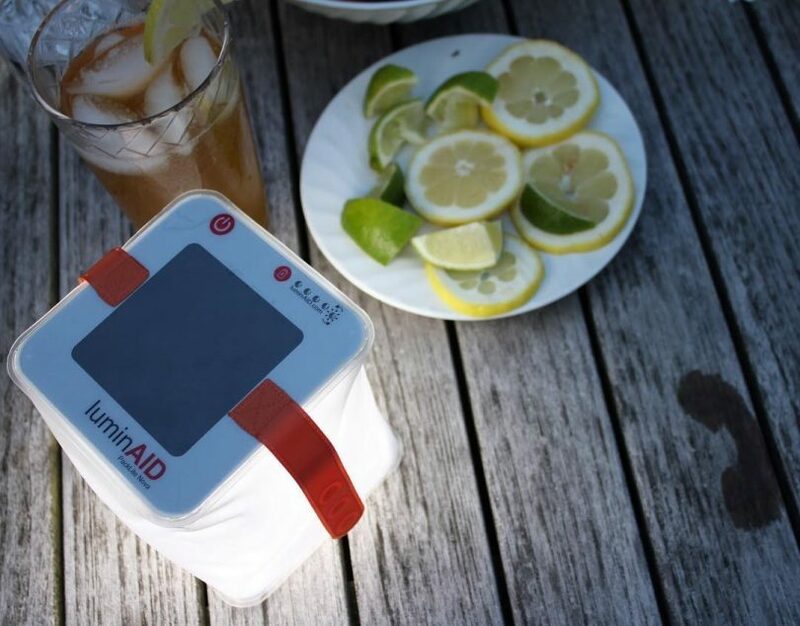 LuminAID received a well-deserved boost after walking away with a deal from Mark Cuban, but the company had already accomplished many integral milestones in its own right. After finding inspiration in the tragedy of the Haiti earthquake, and wanting to help people in similar situations, Anna Stork and Andrea Sreshta developed LuminAID in 2010. While they both were still attending college, they designed, developed, prototyped, and delivered over 20,000 LuminAIDs. And they accomplished all of this before they hired their first employees in 2014. In a strange twist of fate, the Haitians who first inspired the design were also the first recipients of LuminAIDs when they suffered a devastating hurricane in 2012. Solar power is the primary charging method, but there are models with USB charging. It inflates, so of course, it floats and is waterproof, and you can easily hang it from a pack or a pole. It somehow packs small enough to fit in your wallet but can illuminate your whole campsite. There are a lot of ways to do good with your dollar. 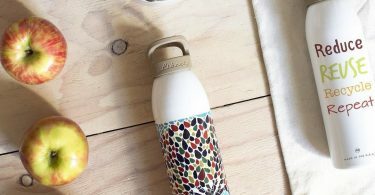 Though they employ different approaches, both LuminAID and GravityLight are attempting to solve a problem in the most holistic way they can. They may have different points of view, but they are both brightening lives – possibly even yours.